In the midst of creating my first playlist the other day, I figured, what the hell, why not just create an indie mix as well? I couldn't contain myself on this one, struggling to cut it down to 25 tracks. If I had to pick I'd probably say my two overall favorite genres of music are underground hip-hop and indie rock, if that means anything. 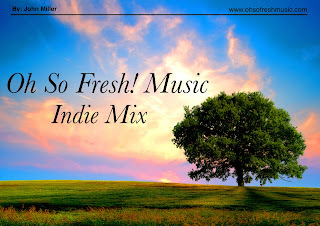 Anyways, I wanted to capture a wide variety of sub-genres to show how different indie music can truly be. For the most part, all of the songs are relatively new, but then again who says the freshest music has to be brand new? I strongly recommend a listen for any fans of Wavves, Local Natives, Jagwar Ma, and Tame Impala. Streaming below.